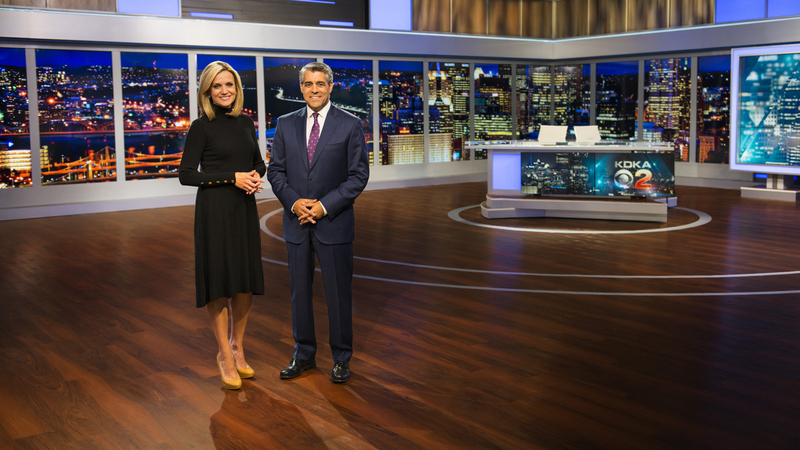 Devlin Design Group’s set design for KDKA-TV, the CBS O&O in Pittsburgh, took home the gold at the PromaxBDA Local Awards. “We are thrilled to accomplish our clients’ objective in this project. Team DDG is especially honored to receive the PromaxBDA Gold Award, and NewscastStudio’s Set of the Year trophy for our work at KDKA-TV,” said Diane ‘DiFi’ Fiolek, CSD at Devlin Design Group. The win marks the third consecutive year for DDG, which has received awards for WAGA-TV and KSAZ-TV in recent years. The set design aims to capture “the life and vitality of Pittsburgh,” reflecting on the cities historic past and urban revitalization. The main anchor desk is surrounded by a “window on the world,” with 14 90″ monitors. A 4×3 video wall and weather center are to the right of the anchor desk, with a large rear projection screen and flexible space to the left. View of anchor desk, video wall and weather center. 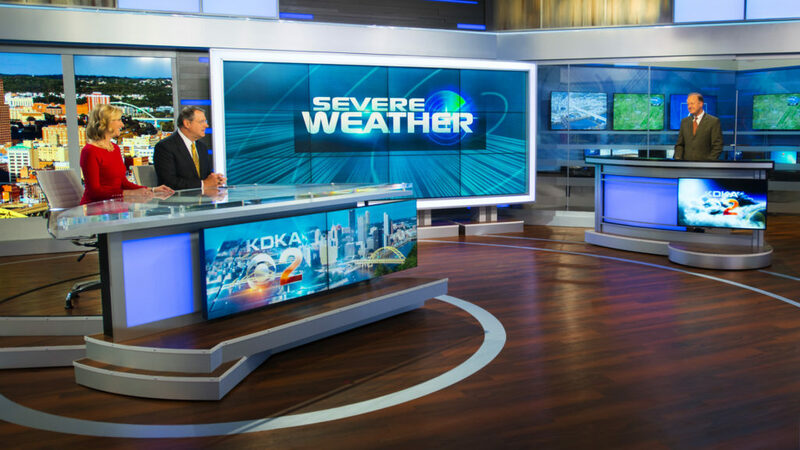 The studio for KDKA-TV also captured NewscastStudio’s Set of the Year award in the Local News category in April.